Always well to have backup copy. It is possible to store copies of files on other disk, if something happens with original. 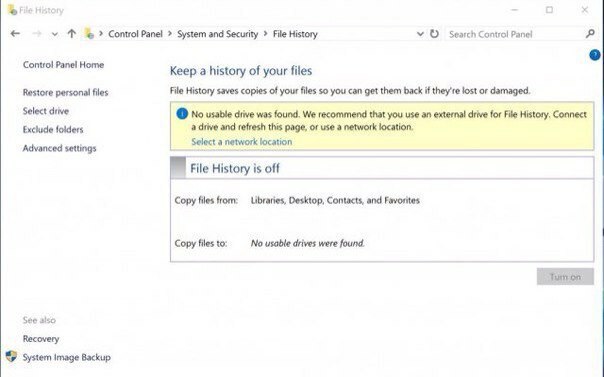 In Windows 10 you can execute reserve copies for PC to a few simple steps. You will need an external hard disk or network arrangement, where you will store backup copy. Connect him to the computer and you will execute following actions. All it is ready. Each hour copying will take place, and all information will be stored in the user’s folder: C:\Users\username. To change the time of copying and preferred files for copying, proceed to Other parameters. 1) In search area enter enquiry “Restoration of files” and choose “Restoration of files with the aid of files history”. 2) Search for a necessary file, and then use pointers, in order to see all one’s versions. 3) When you find a necessary version, press to Restore button, in order to preserve him in your initial place. To preserve him in other place, click a right mouse button (or press and keep) to Restore button, choose “To restore in”, and then choose a new place. If you want to see extended functions connected with files history and reserve copying, then proceed to Control panel -> System and Safety -> Files History.